After topping AED1.59 billion in sales this year, one of the UAE’s leading real estate brokerages is making a fresh investment to expand operations as a sign of its confidence in the Dubai property market. 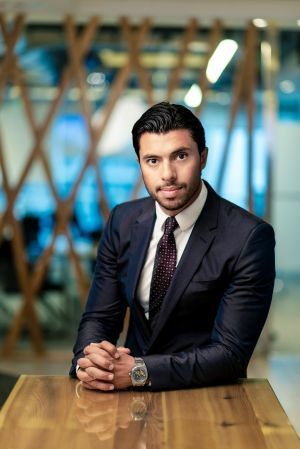 Firas Al Msaddi, CEO of fäm Properties, said today that a five-year lease signed with Nakheel for a new three-floor retail outlet on the Palm Jumeirah represents a AED9 million investment as the company looks to dramatically increase the size of its sales team. Major deals secured by fäm Properties this year include AED700 million dirhams for five bulk residential transactions in newly developed areas of Dubai such as Bluewaters Island and Citywalk, as well as two AED170 million plots of land to be developed in Business Bay. All property and land sales have been verified by the Dubai Land Department and registered with the Tamleek trustee office as applicable. “While I don’t see price appreciation in the short term, our situation in Dubai is much better than in other leading international markets that are traditionally seen as safe heavens, as per a recent report from American Bank UBS on international real estate, qualifying Hong Kong, Toronto and London as overly priced markets with their bubbles about to burst” said Al Msaddi. The new retail premises on The Palm Jumeirah becomes the seventh such facility in the UAE for fäm Properties which has its headquarters in Business Bay. The company aims to increase its current team of real estate sales agents from 95 to 150 backed by 100 administrative staff.